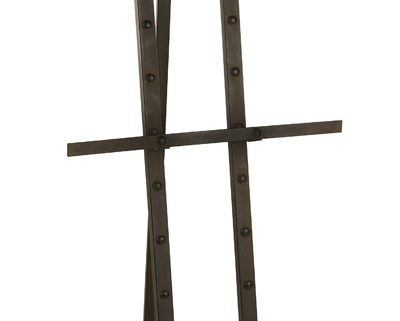 Reminiscent of battleship framing, the Rupbert Iron Floor Easel features studded details in a streamlined industrial frame. Designed by Carolyn Kinder International. Dimensions: (71″h x 20″w x 19.5″); Materials: 100% Wrought Iron; some assembly required.